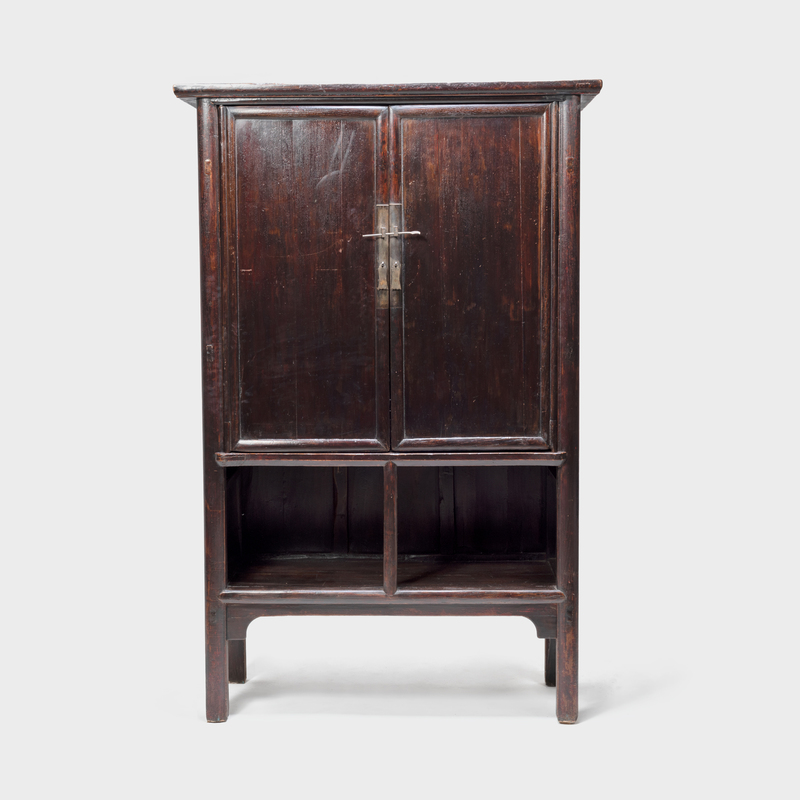 W: 42.91" D: 20.87" H: 84.45"
This 19th century square corner cabinet was designed with open latticework doors to display books, scholars' objects, vases, curiosites and antiques for an artist or collector. 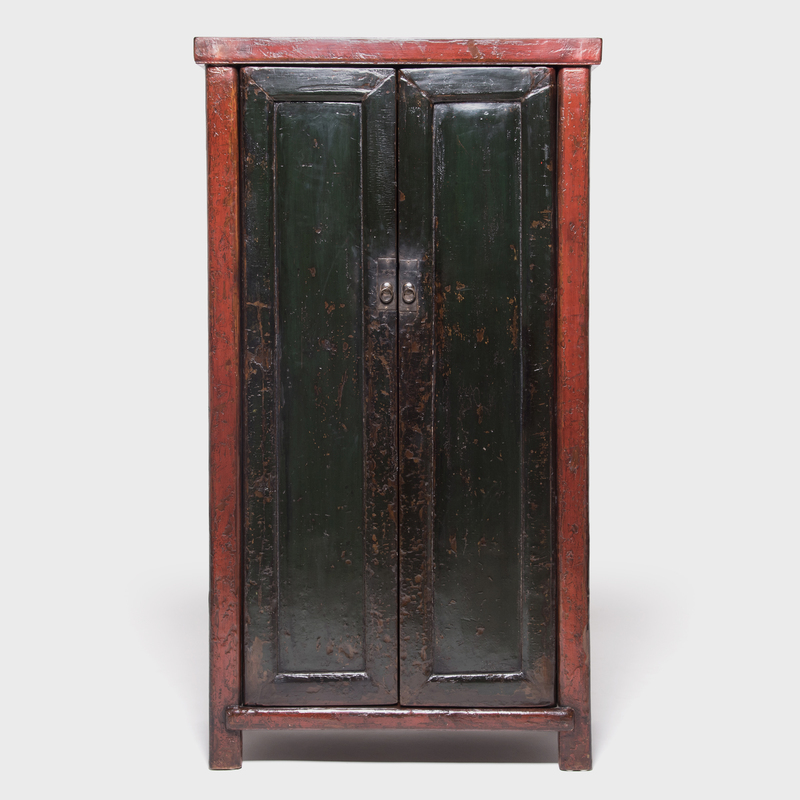 Originally from Beijing, it was carved from naturally aromatic cedar wood, a good choice for conserving precious belongings. 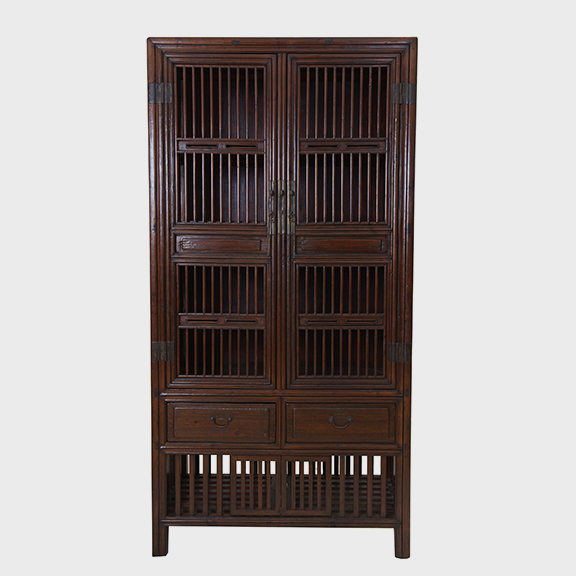 The center rod between the doors could be removed for long scrolls to be placed on a shelf inside. It also provided a firm point for a lock to be attached to keep the doors neatly shut and secure. 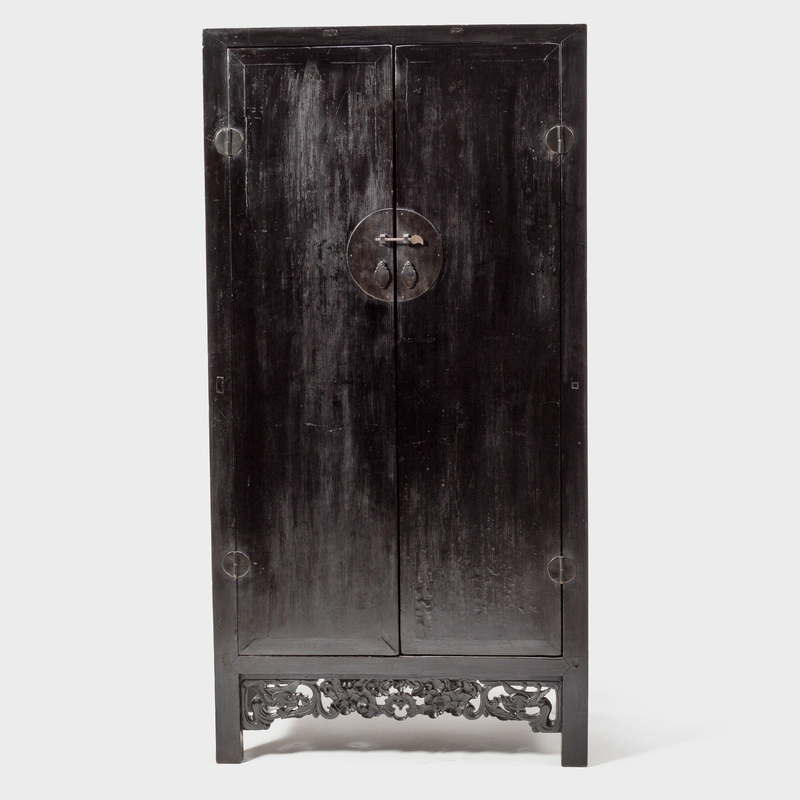 The exterior drawers are finely detailed with carved panels. 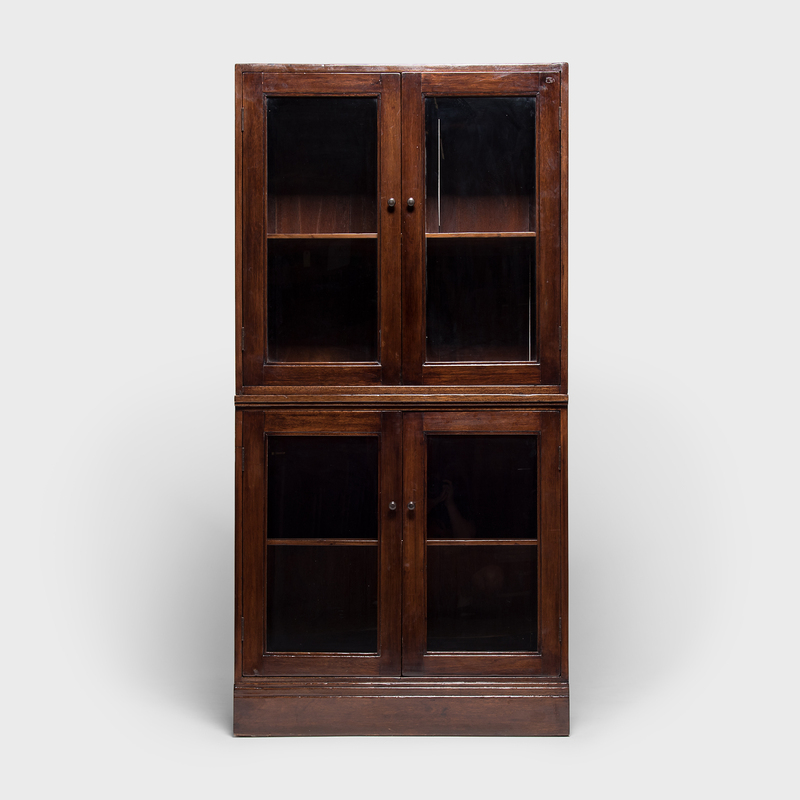 The doors have extended dowels at the top and bottom that ingeniously fit flush into the upper and lower frames, keeping the cabinet simple and elegant, without the need for surface mounted hinges.